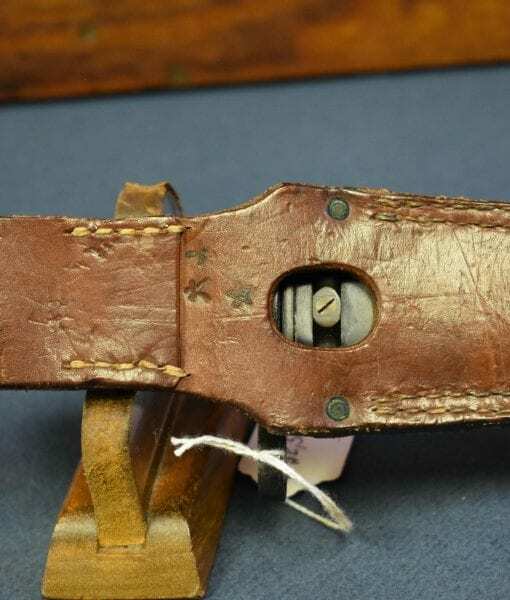 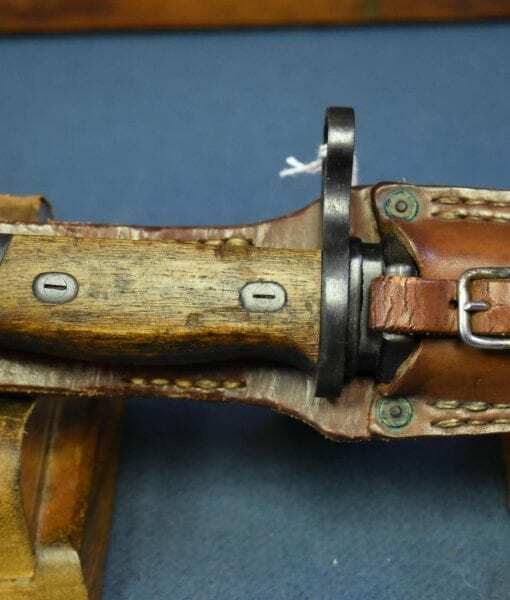 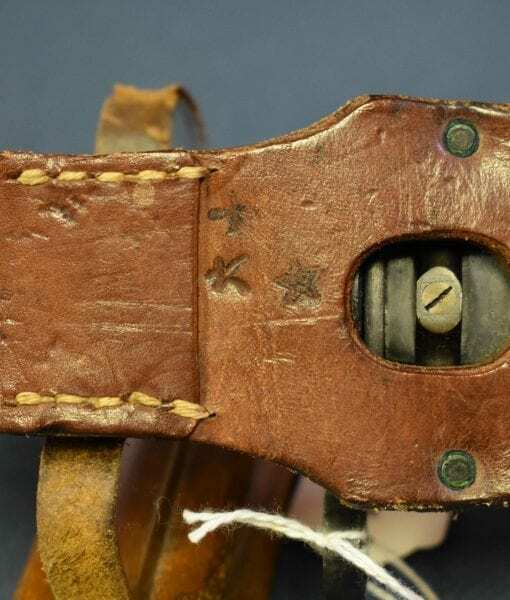 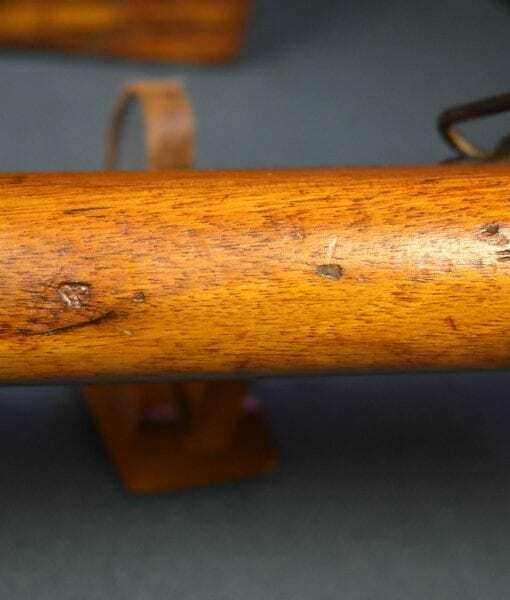 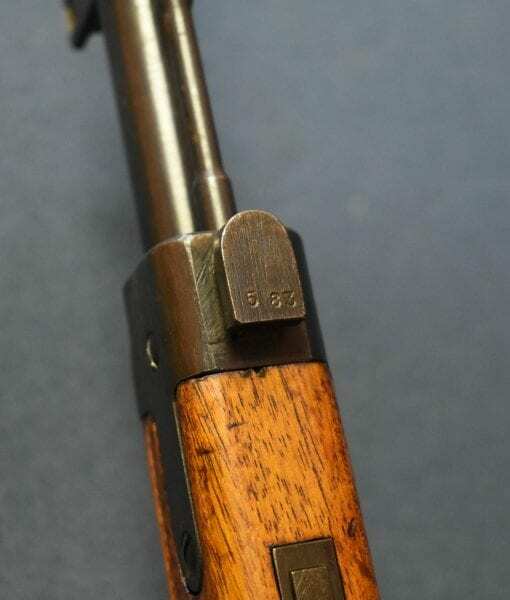 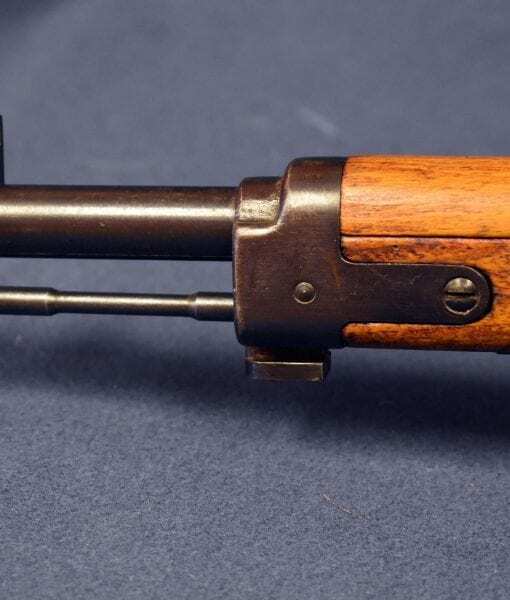 RARE EARLY PRODUCTION JAPANESE TYPE 2 PARATROOPER RIFLE…….ALL MATCHING AND MINT! 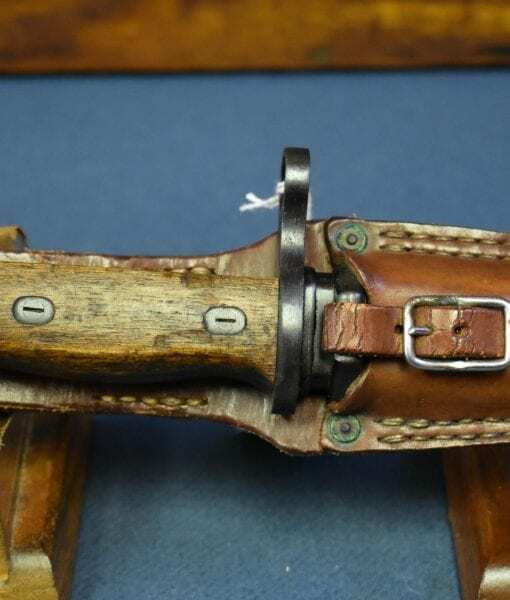 WITH RARE BAYONET TOO!!! 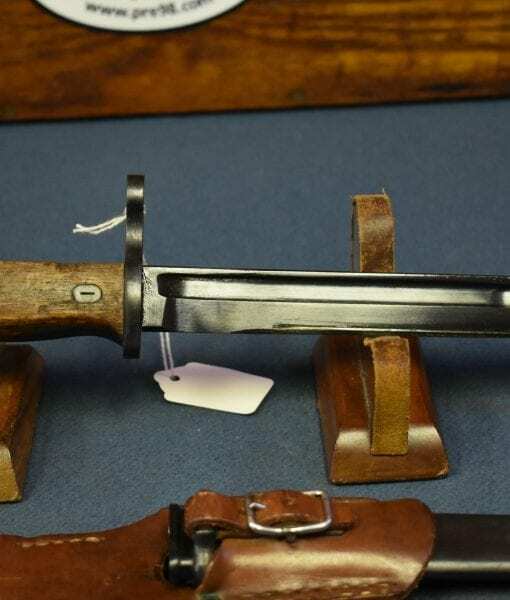 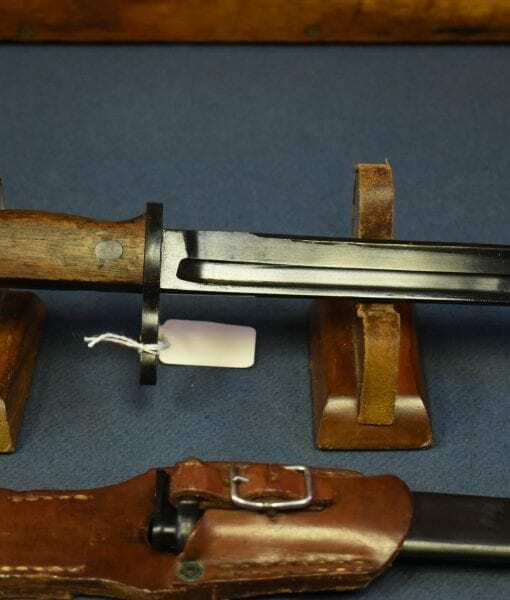 Straight out of the woodwork…..This is a MINT TOP CONDITION completely double matched rare early 1943 production Japanese Nagoya Arsenal Type 2 Paratrooper Takedown Rifle. 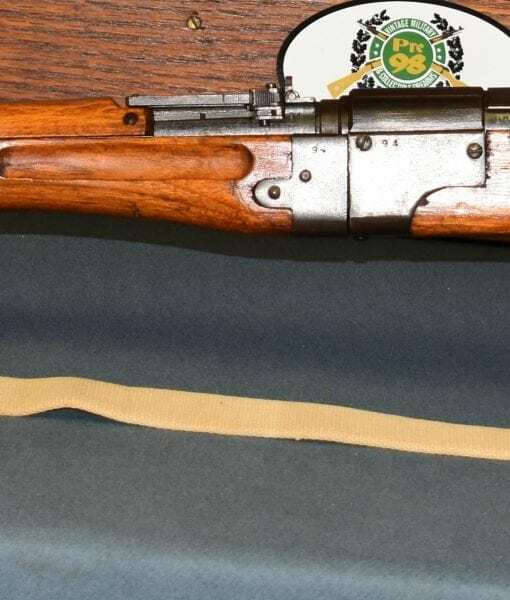 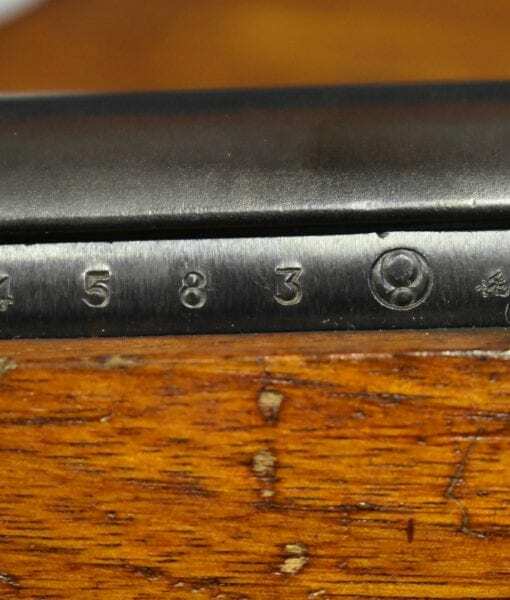 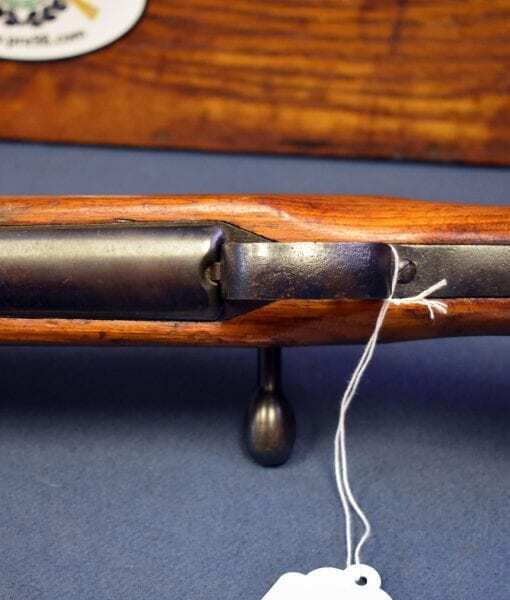 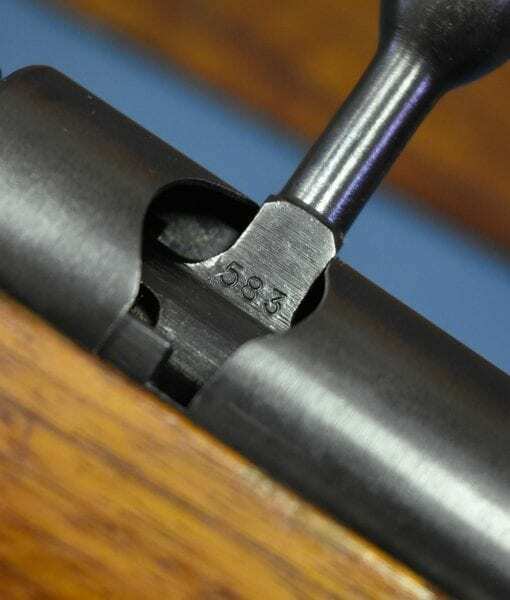 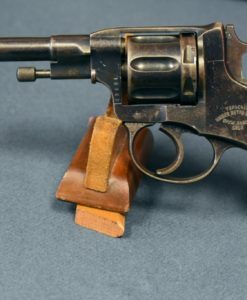 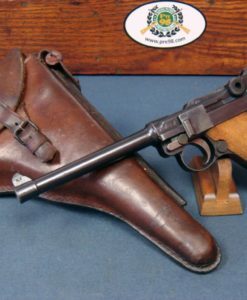 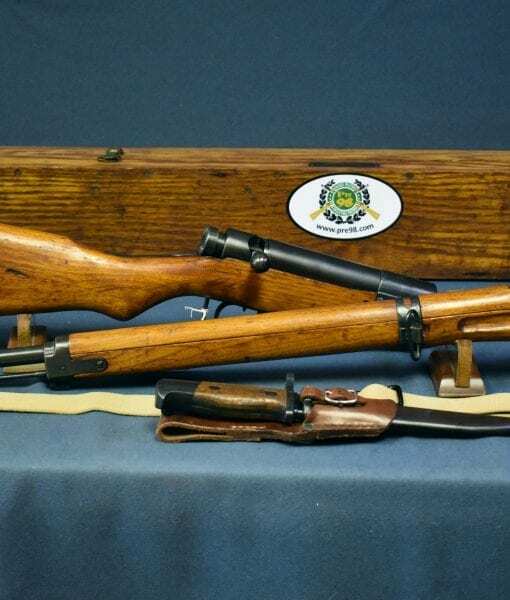 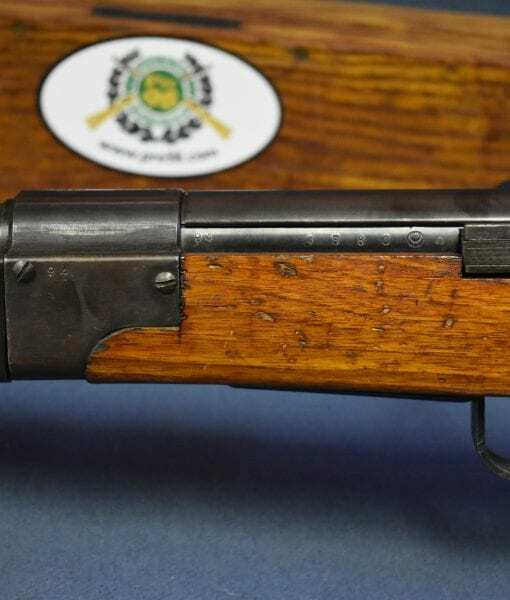 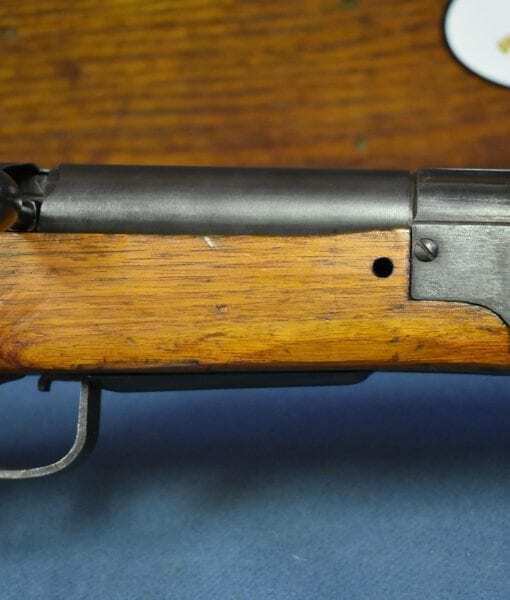 The rifle is matching double numbered, the rifle serial number 4583 and the takedown assembly number of 92. 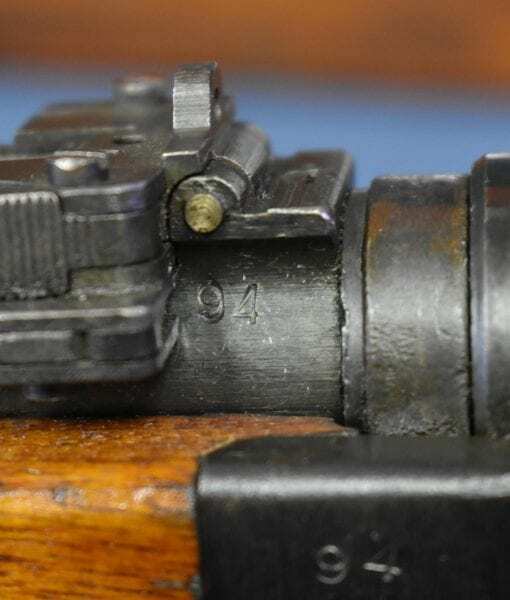 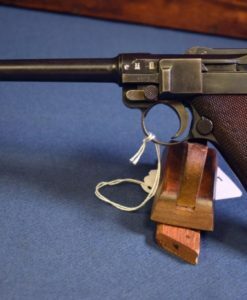 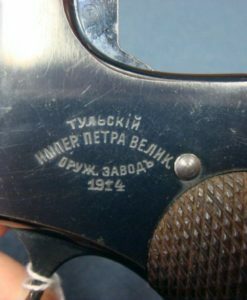 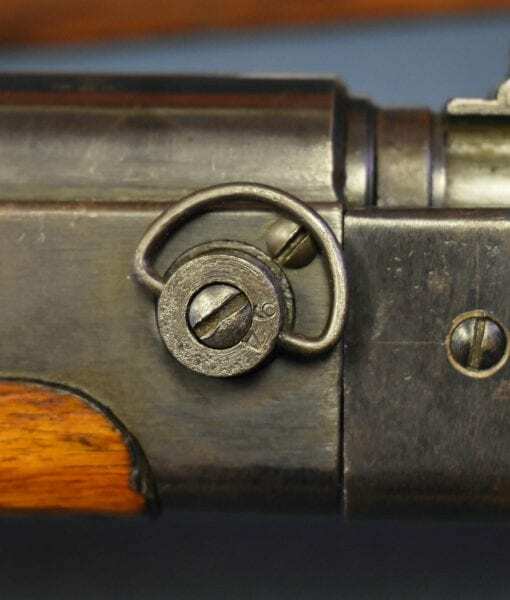 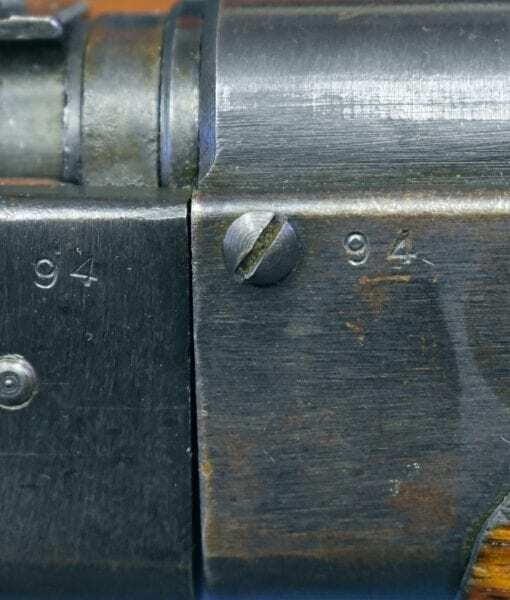 Of course the Imperial crest is intact, and the chrome lined bore is mint, and as it is early production it has the complete anti-aircraft sight. 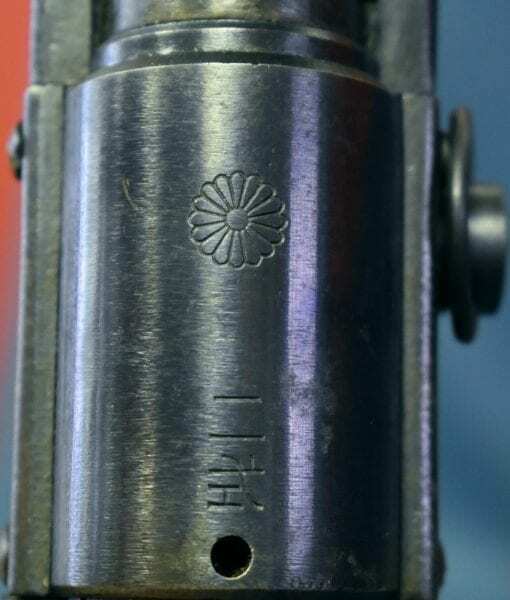 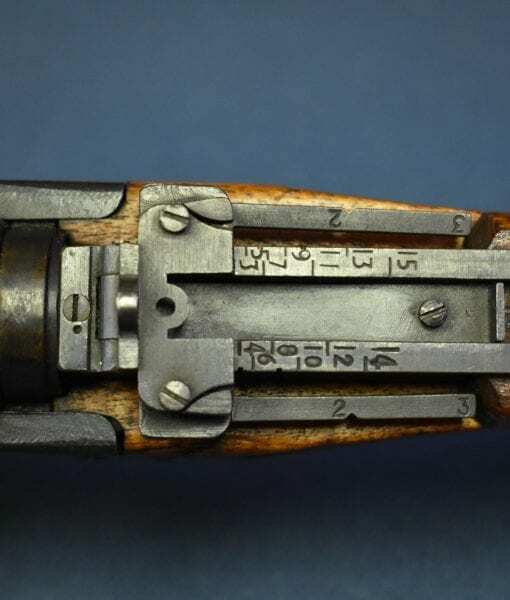 This is a totally as issued textbook example of the famous and highly collectible Japanese Type 2 Rifle. 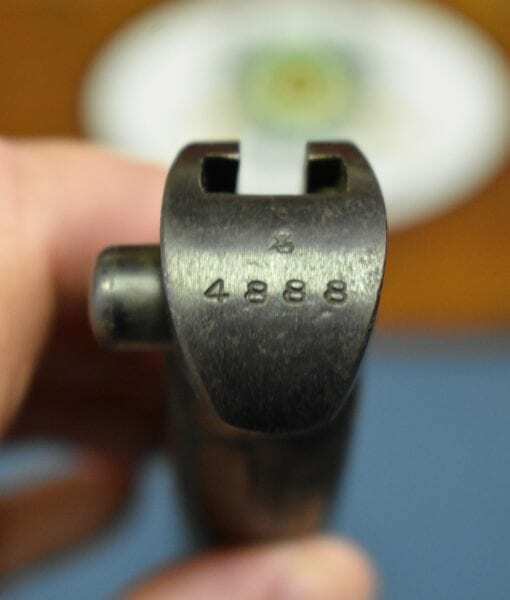 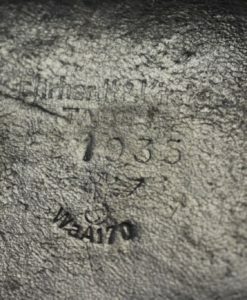 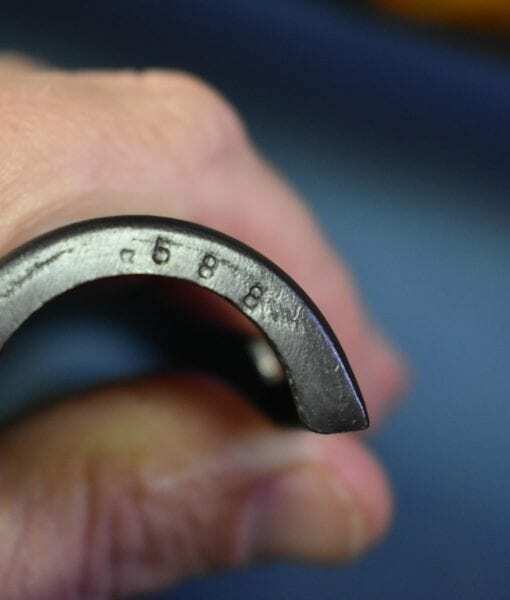 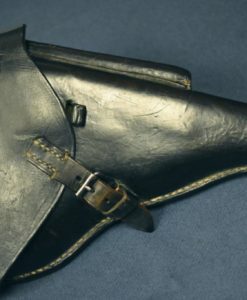 the dust cover is numbered 588, the last digit should be a 3. 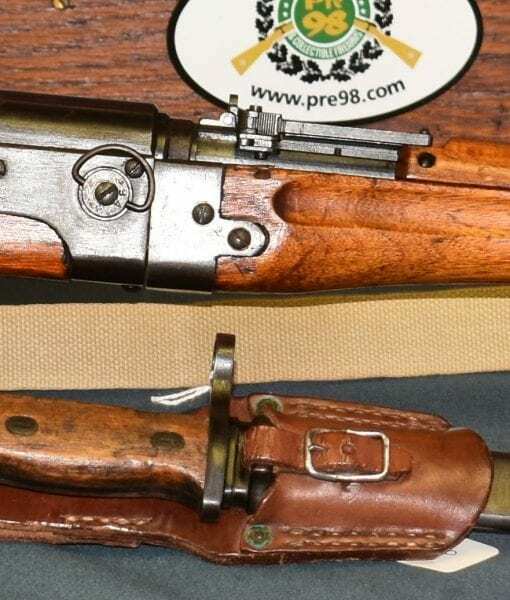 This comes with a very rare mint condition Paratrooper bayonet and frog. 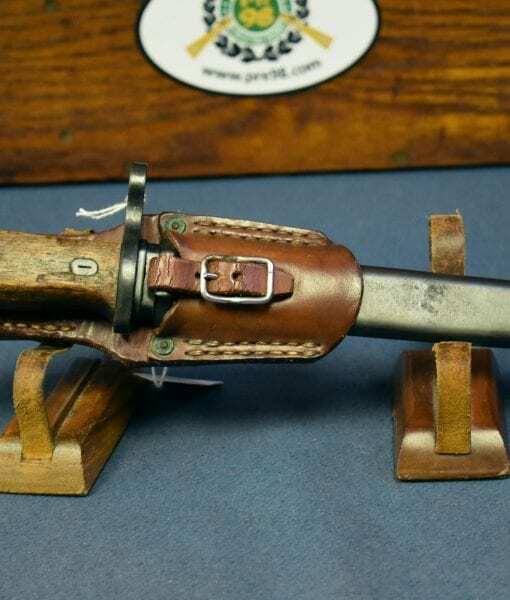 This rifle was vet brought back from the Philippines, it was a combat used rifle and was a battlefield pickup. 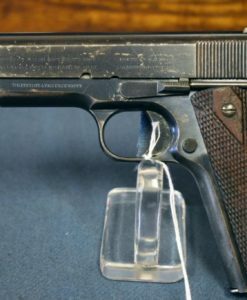 There were several units of Japanese Paratroopers who fought all through out the Philippines campaign and even staged one very notable raid on American Airfields. 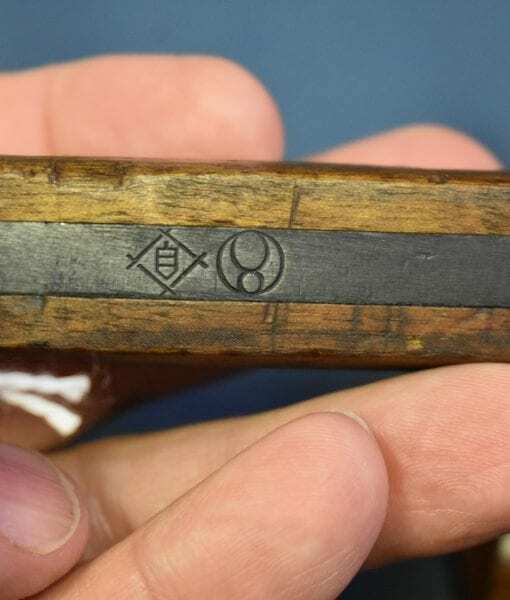 No doubt this was pulled off of a very dead one. 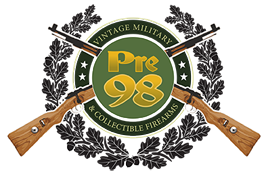 This is a Top Tier Pacific War Trophy.